A new introduction for 2011 with large, double cranberry colored flowers. It's being touted as an improved "Razzmatazz". 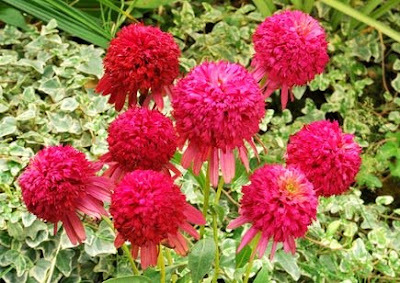 What we like about the plant here at Coneflower.com is the short compact stature of this plant. 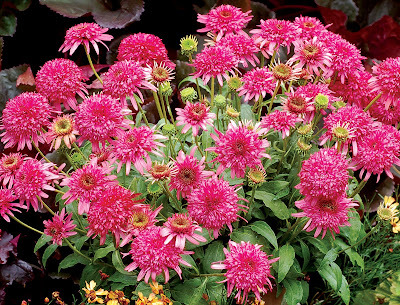 Small but packed with flowers, this is sure to be a new standard in the double echinacea.